Skyrobotic, a leading manufacturer of unmanned aircraft systems (drones) under 25 kilograms entirely Made in Italy, part of the Italeaf Group, announces that the Shareholders’ Meeting has appointed Stefano Neri, Chairman of the Italeaf Group, as the new Chairman of the Board of Directors, which has been entirely renewed in its members. 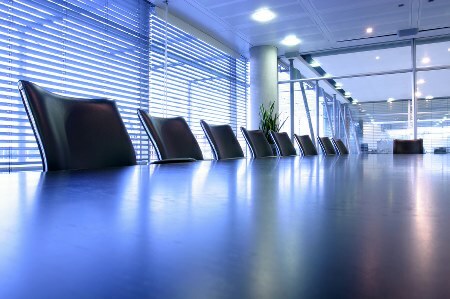 The Board of Directors is completed by Laura Bizzarri, Chief Executive Officer, and Alex Cabella, engineer and member of the Board of Directors. 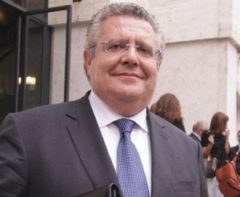 Stefano Neri takes the place of Giancarlo Grasso, one of the leading Italian experts in the aeronautics and aerospace sector, who held the position for about a year and to whom and the outgoing directors, Spartaco Franconi and Roberto Cecchin, the Shareholders’ Meeting has extended its heartfelt thanks. Certification allows Skyrobotic to get out of the early-stage phase and open up to industrial partnerships and alliances. ENAC (Italian National Civil Aviation Authority) has awarded the Italian manufacturer the project certification according to art. 10.6 of the SAPR Regulation. 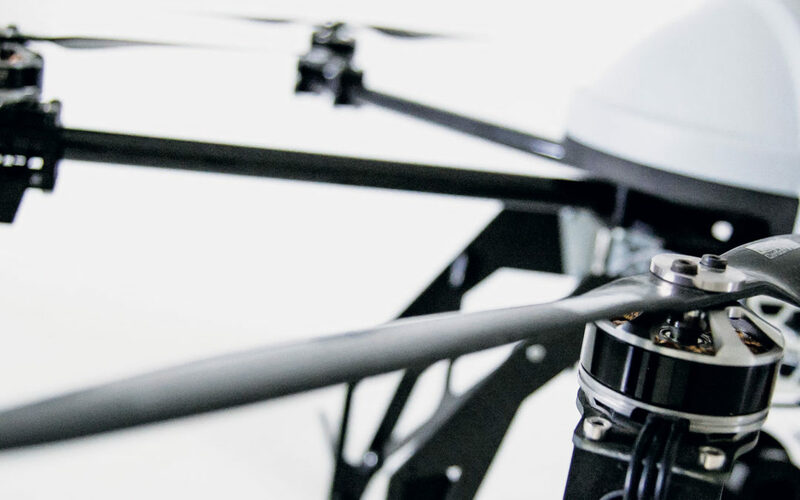 Skyrobotic, a company leader in the production of drones under 25 kilograms entirely Made in Italy, part of the Italeaf Group, announces that the company has obtained “project certification pursuant to art. 10.6 of the SAPR regulation” from the Italian National Civil Aviation Authority (ENAC) for the SR-SF6c system. The certification requires a primary control and control system whose software complies with the aeronautical standards specified in the EUROCAE ED-12 specification at least at design reliability level D.
“With the certification 10.6 – explains Stefano Neri, Chairman of Skyrobotic and Italeaf Group – the company leaves the early stage phase, after having passed the start-up phase, and becomes a national reference point for the opening of partnerships and industrial alliances aimed at creating an Italian chain of the high end drones sector. Skyrobotic, in fact, has decided to operate in a nascent market that is highly professionalized and requires the highest standards and requirements of reliability and safety. With this recognition we qualify our company as the reference production operator for the “safety” (environmental and worker safety, industrial inspections, inspections and surveys of industrial and energy production plants) and “security” sectors (citizens’ safety, urban and extra-urban security for specialized companies and law enforcement or prevention forces). Skyrobotic drones had already received from the Civil Aviation Authority project certification for series production pursuant to art. 10.5 of the SAPR regulation, which allowed operators to use drones, subject to authorisation by the competent Authority, in urban scenarios with safety restrictions. 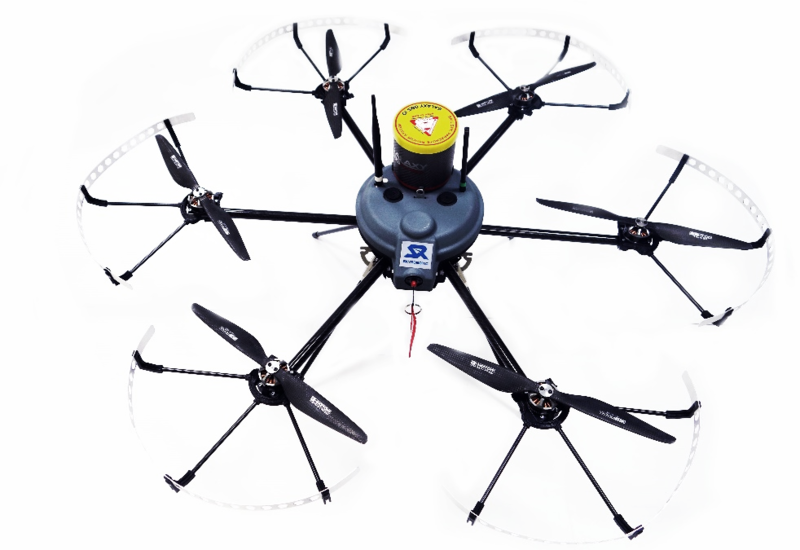 “This type of certification will allow the APRs (drons) Skyrobotic to fly over urban areas in VLOS (Visual line of sight) conditions – says the Vice President, Giancarlo Grasso -. This is the maximum safety recognition provided by national regulations for professional drones, which will allow operators who choose our systems to be able to fly over urban areas or congested areas in complete safety and in full compliance with industry regulations. 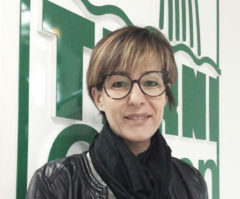 Thanks to the investments in research and development carried out at the Nera Montoro (TR) plant, we make a real leap in quality, opening up to Italian operators, both public and private, the possibility of using drones weighing less than 25 kg produced in series also for operations involving overflying of inhabited centres, communication and logistic infrastructures, industrial settlements, areas used for events and exhibitions. Therefore, new scenarios are opened up for aerial work with remote pilotage systems, reducing bureaucracy for operators, increasing safety conditions and guarantees for those in the area interested by overflight operations, implementing new turnkey solutions”. With the achievement of certification, Skyrobotic crowns a successful path in the pursuit of the most important sector qualifications: from the certification of aeronautical standard EN-9100 for the Nera Montoro (TR) plant, to the possibility of issuing project conformity certificates according to the art. 10.5 of the Civil Aviation Authority regulation, up to this last recognition, which marks a turning point for the entire Italian professional drones sector. With its own bouquet of qualifications, Skyrobotic takes the lead in the national producers’ sector, anticipates regulatory developments at European level and represents the ideal answer for leading operators in the professional, commercial, physical security and cybersecurity sectors at international level. Finally, the certification pursuant to art. 10.6 of the SAPR regulation is an indispensable condition for participation in tenders and tenders promoted by the main public apparatus for order and safety. Skyrobotic, a company leader in the production of drones under 25 kilograms entirely Made in Italy, part of the Italeaf Group, announces that it has delivered the first drone with a Certificate of Conformity to EN-004 Project CP. The system was acquired by Vitrociset, a company operating in the defense, homeland security, aerospace and transportation, government and industries, for which manages electronical and ICT systems. Together with the SR-SF6 P/N SKYAPRSRSF61G281-100, S/N E001, was then handed the No.001 Compliance Certificate. The UAS delivered to the customer is an ISR (Intelligence Surveillance Reconnaissance) set up, configured with a three-axis gimbal on which are installed simultaneously a thermal imaging camera 640 x 512 and an RGB camera with 30X zoom. Thanks to the new ground control station, developed by Skyrobotic, encrypted digital streams from the two chambers are visible in real time simultaneously. The command and control system with redundant frequencies allows to reach a distance UAS-SPR than 5 km, in which both video streams continue to be visible. The achievement of the Project Certificate for the UAS SR-SF6, allows Skyrobotic to enter in the market of the most demanding Italian and international industrial customers. This is the case of Vitrociset, which can handle more and more innovative services in highly competitive markets, highly diversified – from defense to security, from logistics to transport up to the space and smart cities. 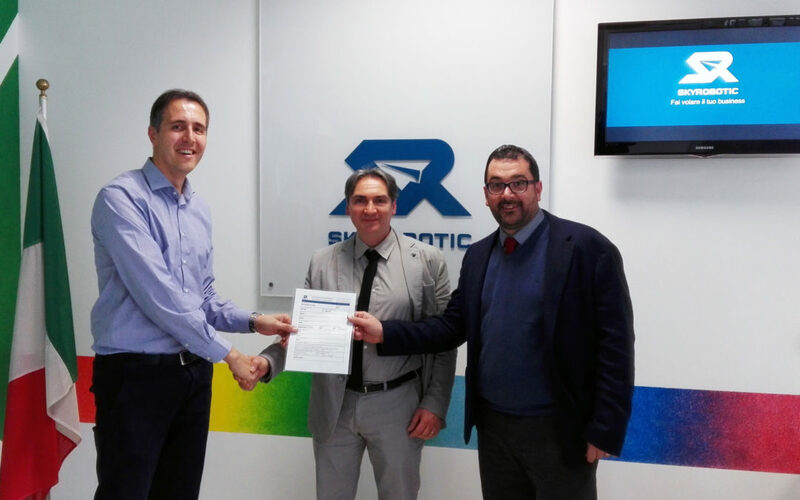 Skyrobotic, a company leader in the production of drones under 25 kilograms entirely Made in Italy, part of the Italeaf Group, announces that it has obtained the project certification by ENAC (National Civil Aviation Authority) for the unmanned aircraft system SR-SF6 (drone). 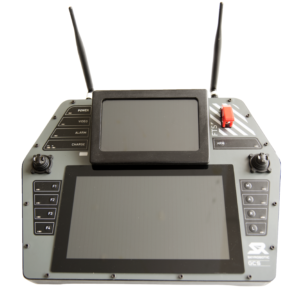 By obtaining this certification, Skyrobotic will mass-produce the SAPR SR-SF6 qualified to carry out critical specialized operations, in line with what is specificied in article 10 paragraph 5 of Regulation “unmanned aircraft systems”. The project certification introduced by ENAC in Regulation “unmanned aircraft systems” brings together, in a simplified way, the concepts that in the traditional world of aviation are known as DOA (Design Organization Approval), POA (Production Organisation Approval) and Type Certificate. Skyrobotic is the first independent company to have obtained both aircraft certification EN 9100 and project certification of its drones, developd for B2B customers for professional applications with high technological content. 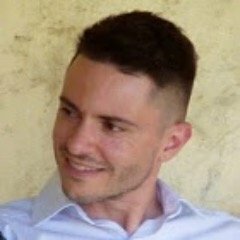 It is a further confirmation for the company and for its aircraft systems, which will allow Skyrobotic to interface itself with the most demanding reality in terms of quality and safety. Skyrobotic, a company leader in the production of drones under 25 kilograms entirely Made in Italy, presented at the Farnborough International Air Show (UK) the new Ground Control Station bundled with the remote piloting aircraft system SF6. 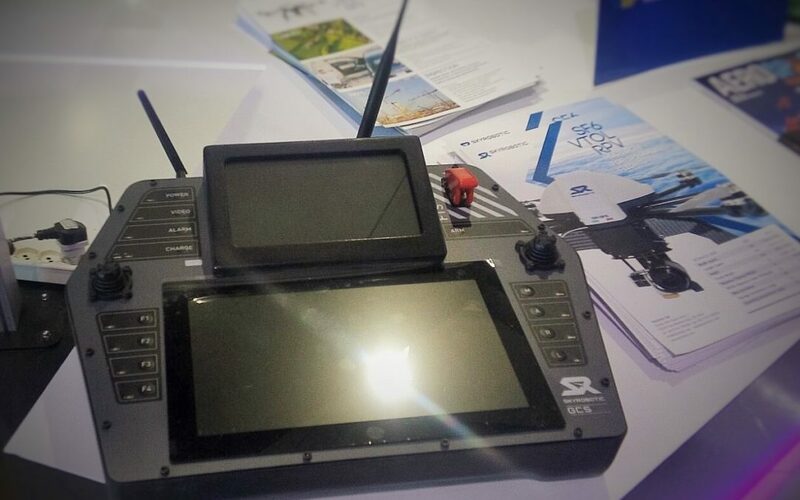 In particular, the company has showed its latest generation console that integrates, in addition to the flight control stick, two high brightness touch monitor from which it is possible to control both the drone system and the payload for the data collection. The new “GCS” is able to control more drones in flight (fleet management) and has also been designed to be connected to a control room, so as to allow the remote control of the aircraft and of the sensors. Many the safety features, from the redundancy of power supplies and radio frequencies to the use of encrypted communication protocols. The new GCS allows the pilot to be in control of all the system features in a friendly and functional way but also to be able to choose whether to transfer control of the cameras to another operator. The Skyrobotic team will be present at the Farnborough International Air Show to 17 July within the space of Umbria Aerospace, established in 2008 thanks the initiative of Confindustria Umbria, in Hall 4 stand C120. In the days of the event some visits of authorities, customers and stakeholders are programmed.